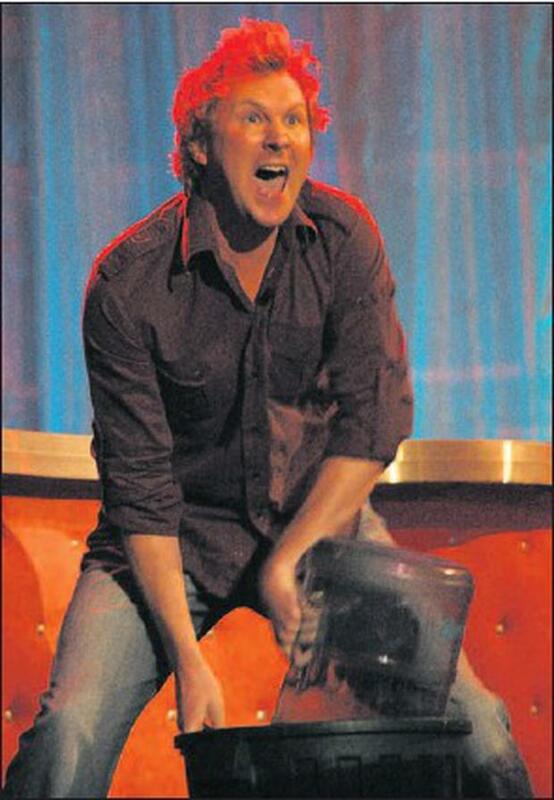 Jason Byrne, who will be appearing at the Oldcastle House Hotel. WE'RE smack bang in the middle of festival season and following the exploits of Villagers and Director at Oxegen last weekend, Fingal's finest will be flying the flag at another top event at the end of the month. Now in its tenth year, the Le Cheile festival is set to take place in a number of venues around Oldcastle, County Meath, over the bank holiday weekend, featuring a line-up of internationally acclaimed artists, interspersed with some of our well-known local acts. The festival began in 1998 with the objectives of bringing a range of arts and culture to a small town and developing the skills of local youth necessary to run such a festival. Over the past nine years, the festival line-up has included some of Ireland's finest musicians, including The Hothouse Flowers, Something Happens, The 4 of Us, The Frames, The Saw Doctors, Relish, The Undertones, The Walls and Republic of Loose. Some 10,000 people will visit the town over the course of the August bank holiday weekend and this year's line-up is particularly strong. Lisa Hannigan, Mundy, Declan O'Rourke and Fight Like Apes top the bill, while Fingal funnyman, Jason Byrne, takes to the stage at the Oldcastle House Hotel on Friday, July 31st. The following night, Delorentos headline a show at Creans, while on August 2nd, Skerries singer Keith Burke plays the outdoor stage at the Naper Arms. Monday, August 3rd, sees a Fingal doubleheader, with Noise Control and Heritage Centre both playing Creans.